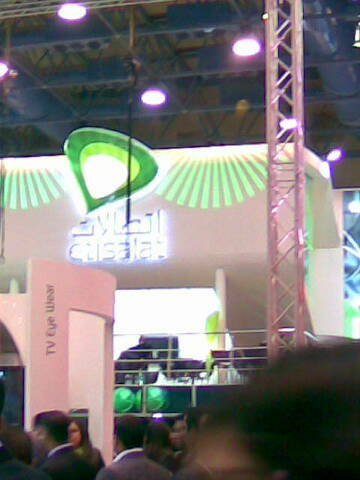 Last week, I went to ICT to see what’s with Etisalat. 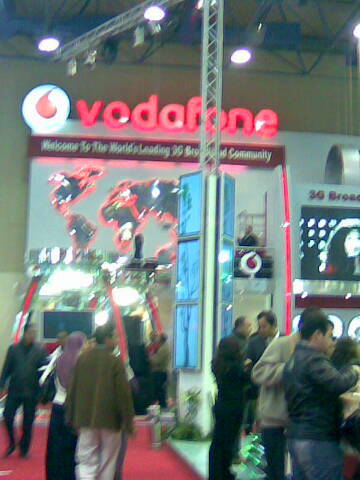 It was a huge event, but unfortunately I arrived very late so I spent only one hour in the Mobile operators section. The booths were eye catching, but I wasn’t very very very impressed. Mobinil was on the right, Vodafone on the left, and Etisalat in the front and the middle section. My first comment is that the three companies were more interested in the look and atmosphere of their booths than with what they are actually offering. All of them were hiring pretty ushers, dressed elegantly in red, green or orange. But I was expecting something more. 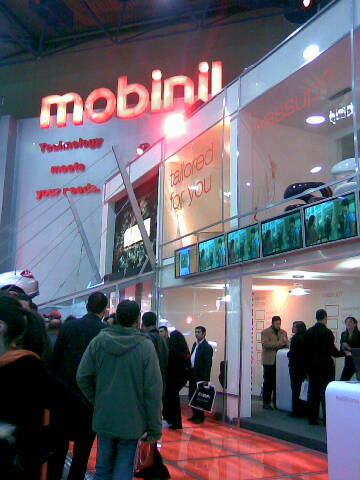 Vodafone and Etisalat offered some trials of the 3G technology, like watching movies and video call, Mobinil tried to add some cozy atmosphere with a home-shaped booth and the song ahssan nas. This entry was posted in Cairo, Technology. Bookmark the permalink. Why Ope would u like to move? Will u use the 3G? because as far as I know they will use the network of Mobinil and Vodafone for the coming period untill they build their own infrastructure, this means u’ll have the same service but with different names. Ma3lesh ya moon, u’ll catch up next year. This is not exactly true, Nousha. Etisalat is building its own infra structure. For your info there will not be site sharing at all with mobinil, they r negotiating sharing “some” of vodafone sites which i think most of them will be on roads.